Hi Everyone. 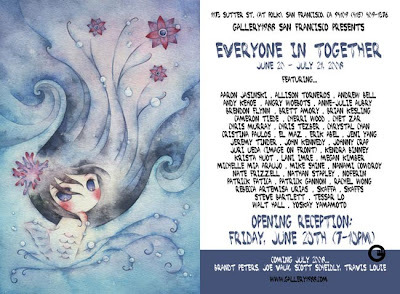 I've got a group show coming up on Friday June 20th at Gallery 1988 San Francisco. I did two pieces for the show and I posted them on my Flickr page if anyone would like a preview. I was hoping to come over to San Fran for the show, but it a no-go. Bummer. I could go for a burrito in the Mission... mmmmm.